Sciatica is an acute pain disorder characterized by excruciating pain radiating down the back of the leg. The pain is brought on by the compression of the sciatic nerve roots by a protruding spinal disc or any sort of mass. Strenuous physical activity, age, smoking and psychological stress are some of the important risk factors that can lead to sciatica pain. Patients with sciatica experience severe pain which radiates down the back of one of the legs along the course of the sciatic nerve. The patient may also complain of tingling, sharp, pins and needles or numbing feeling after sitting for too long in the same position. Short term bed rest is inevitable in patients suffering from acute pain. However, being confined to bed for longer durations is no longer recommended. Contrary to the popular notion that bed rest can help relieve the agony of sciatica pain, bed rest is no longer considered an effective method for the conservative treatment of sciatica pain. This principle has been backed up by various studies that prove the futility of bed rest in the treatment of this debilitating illness. Why Is Long Term Bed Rest Ineffective For Sciatica Patients? Remaining bed ridden for prolonged time can lead to compressions of the painful points, which leads to decreased supply of oxygen and nutrients to these areas. 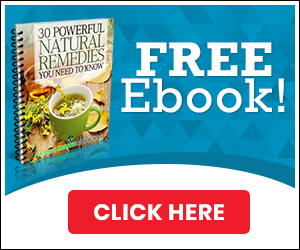 Toxic metabolites, such as lactic acid, eventually start building up and add to the pain. Remaining in bed for long time periods also contributes towards muscle inactivity. Muscle tissues become weaker and weaker and eventually start breaking down, a condition known as “muscle atrophy”. Loss of muscle volume makes it difficult for sciatica patients to cope with daily life activities. Numerous studies have established the lack of effectiveness of bed rest in the treatment of sciatica pain. One such study proved that physical activity contributed more towards improving the quality of life of the patients suffering from sciatica, as compared to bed rest after treatment with pain killers and other treatment modalities1. A Cochrane study is a famous research that compared the efficacy of bed rest in comparison with physical activity in the management of sciatica and lower back pain. The study concluded that there is no difference between physical activity and bed rest in limiting the severity of sciatica pain. It went on to say that protracted bed rest can even lead to aggravation of the symptoms of sciatica2. A combination of low key exercises along with other therapeutic measures can help improve the quality of care in sciatica patients for a healthier, pain-free life. Vroomen PC, de Krom MC, Wilmink JT, Kester AD, Knottnerus JA. 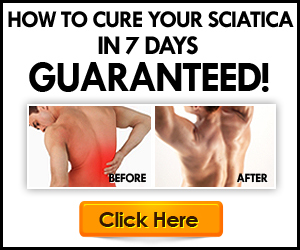 Lack of effectiveness of bed rest for sciatica. New England Journal of Medicine. 1999 Feb 11;340(6):418-23. Hagen KB, Hilde G, Jamtvedt G, Winnem MF. The Cochrane review of bed rest for acute low back pain and sciatica. Spine. 2000 Nov 15;25(22):2932-9. Previous Previous post: Vitamin C & Vitiligo: Should you include or avoid it? Thanks for adding to my useful knowledge.